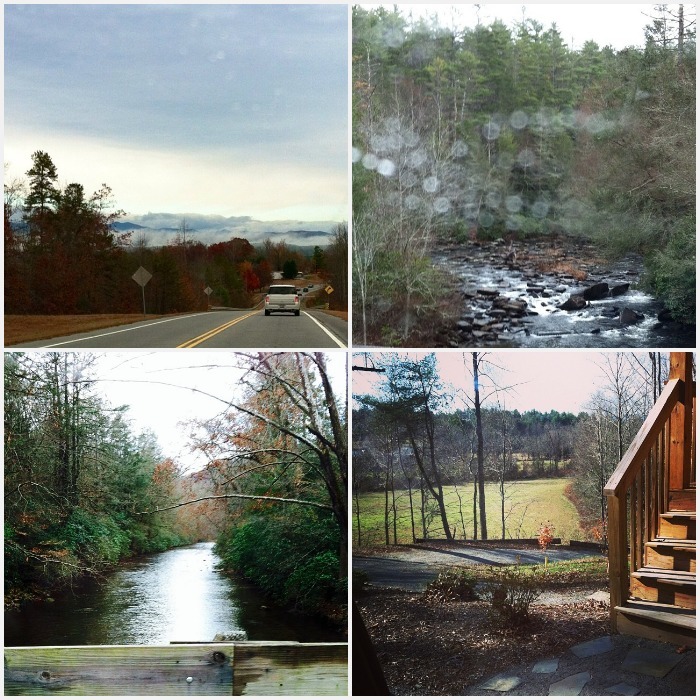 Our weekend in the Blue Ridge - bone chilling cold but oh so beautiful. I ended up snapping shots from the phone (so much easier). Fittingly, we saw a lot of "no's" and then finally, we found a real contender. Who knows what will happen but if it works out we'll have privacy, pretty views, a wrap-around deck, a great place for our Sophie to roam and even get wet AND a loft which will be perfect for my easel and work table. It's entirely possible that I'll see you again before next week but if not, enjoy your weekend folks. The Blue Ridge Mts. are definitely nice. I am in the Roanoke area. Are you looking anywhere near there? Carol, we lived in Roanoke for 9 years and absolutely loved it! We're looking in NC because of proximity to Atlanta, Charlotte, etc. Plus we're originally from the area. So beautiful views, totally perfect for your easel!! Beautiful photos! I am keeping my fingers crossed that you find The One! Good luck on your search. I love NC and hope maybe to live there some day. My daughter was living on the east side for a while and still owns a house there.